Summoned to assist with legal matters regarding a real estate transaction, young Englishman Jonathan Harker journeys to the dismal, dreary castle of Count Dracula in Transylvania. The fledgling solicitor is completely unprepared for what he will discover in the days to come-and the horrifying chain of events sparked by his unsettling stay with the mysterious Count. 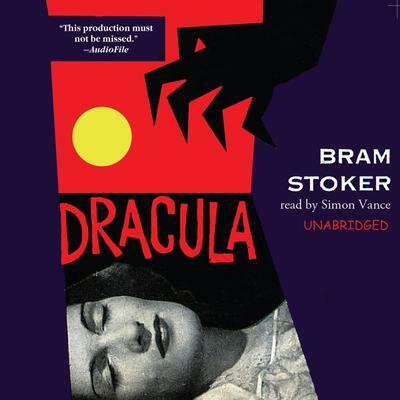 The Dracula mythology has inspired a vast subculture, but the story has never been better told than by Bram Stoker. He succeeds entirely in his aim to terrify. His myth is powerful because it allows evil to remain mysterious, unconquerable by strength of mind or virtuous action. Van Helsing's high-thinking and scientific skill cannot resist the dreadful potency of the undead. The high virtue of Lucy can simply be drained away, as her blood is drained away, until she too joins the vampire brood. Only the old magic-a crucifix, garlic, a wooden stake-can provide effective weapons against the Count's appalling power.